Let’s change a bit the cloud topic from Infra to Software. VRM is an amazing nowadays’ trend showing how consumer has extremely changed how vendors must to serve them. Check How VRM works? by @davewiner, an illustration of a practical case of it to get a replacement of a broken chair. Next lines I will bring my own example that came from an idea that was rolling into my mind last days. 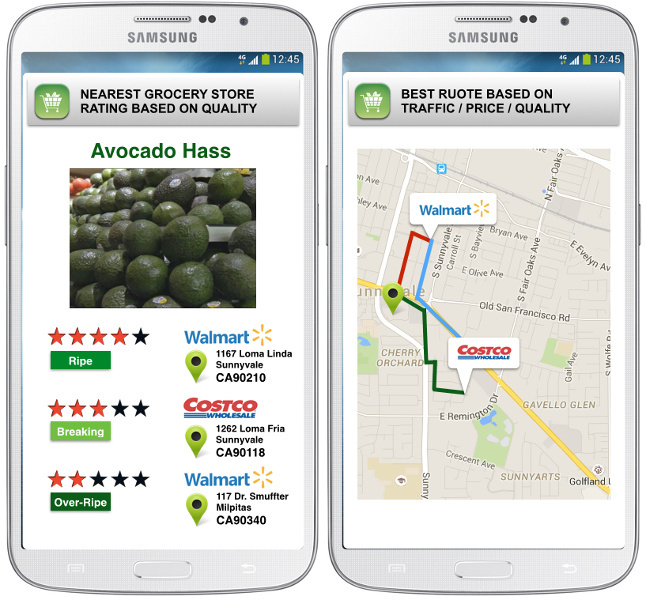 Many grocery stores or supermarkets bring delivery services. However, not so many people trust them to deliver fruit or vegetables. Usually you just get households goods through it. Food’s quality depends on the season and other multiple factors, even its availability is uncertain. Therefore you have the big opportunity: Bring information about food’s conditions at the right time from nearest stores with much higher certainty. 1. My need: suppose you need to get high quality fruit and vegetables from the store quickly. You would visit two or more stores in order to get what you need, with the quality that you want. After your searching, you will realize the best option was the first store, but you don’t want to lose more time on the journey. 2. Community arises: Before to start my journey to get some healthy vegetables. Got my phone, and I open my FOODBY app. 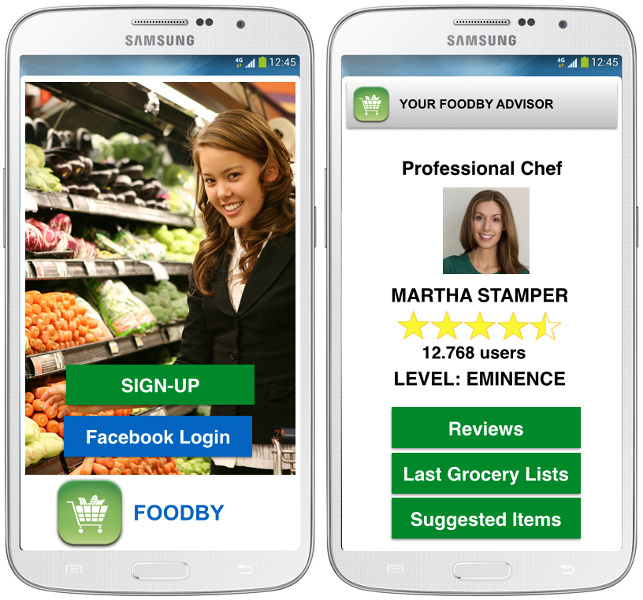 Foodby would have 5 million of users and would grow its network by half million every month. Housekeepers, singles, dads, mums would be among its more enthusiastic followers. Then, you would find where are the best products that you’re looking for in just a couple of touches at this very moment. Products would be qualify from the same user community that uses it. Any user would be able to evaluate any of the food’s units available at any store. Some of them would get a better reputation based on the community feedback. Better contributors would get more Dopamine’s shots as their reputation increases. 3. Consumers don’t wait: FOODBy would do with externalities as Uber’s been doing to excel. Uber would be no more than an empty and useless analytic tool without your data plan, your GPS and your inputs. FOODBy would require the same sort of resources in order to bring you accurately info of how to get what you want right now. The best value would come from machine learning that will bring you the finest way to do it. Analytics would bring results like maps with the closets store based on your product selection. 4. Delivery: Foodby would help you to get best quality food in less time and cost. What about the delivery? I am not considering to add delivery as part of the service. However, Foodby could drive third parties to bring it asking an extra charge on the products. This App could be extended to work with this third parties to get the exact location any time of your food throughout the process. Even you can use analytics to display an ETA. 5. Follow the receipt: You would be able to sum added value services: use an online receipt and schedule the ingredients’ delivery to the exact time that you need them at home. Even you can hire a Chef though the App to prepare that at home for your party. Chef could be evaluated from users in order to see how they are doing. Final Thoughts: Eventually, this app will be supported by a community that believes on it. Oxytocin will be your best partner. And you can et it when the community start to trust users, and of course the information. It’s a difficult beginning. There are cheap and very efficient resources as social networks to support your initiative and promote it around.